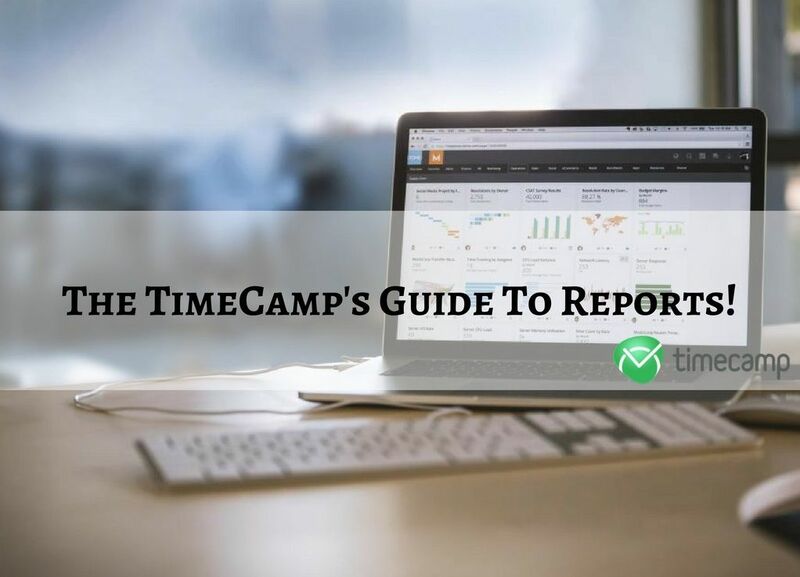 Home » The TimeCamp’s Guide To Reports! Here’s our guide to reports! Last Friday we were discussing one of TimeCamp’s most important features, Timesheets. 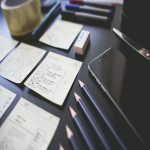 We’ve covered their origins, purpose, importance, and we even explained how to use TimeCamp’s Timesheets to their fullest, saving both money and time. The link to that article will be included in the Related Posts section, so make sure to check it out! Today, we are going to focus on another vital feature of our automatic time tracking software – Reports. 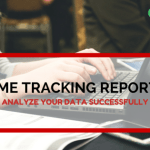 The reporting tool that you can find in TimeCamp is not just an ordinary component that most of time tracking apps have as a basic accessory. They are being generated in real-time, based on the tracked data, and they are very intuitive and readable. Every user should be able to modify them accordingly to his or her needs. They will help you accurately bill your clients, and you will always be up to date with all the changes and modifications to the project, so you won’t miss even the smallest bug. Let’s see how they work! Don’t like reading the long instructions? Watch the video tutorial! The reporting module that’s built into TimeCamp allows you to generate summaries from the gathered data. Depending on the plan you have, you can choose between multiple types of reports and features. 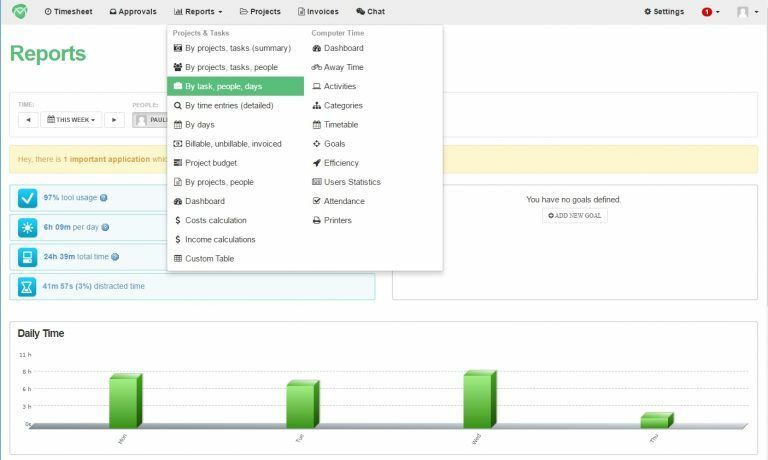 The main purpose of TimeCamp is to help measure time spent on projects. There are multiple ways in which you can add time – using web timesheets, mobile apps, desktop app or Google Chrome plugin. Time assigned to tasks can be reported in many ways, depending on your needs. To generate a specific report, select one of the options available in “Reports” drop-down menu in the top bar of your TimeCamp Dashboard. With the use of the desktop application, you can gather the computer activity data. TimeCamp measures time spent by you and your employees on applications or websites and allows you to generate multiple reports and automatically account efficiency level of your work. You have a wide range of reports to choose from. All you have to do is to click on the “Computer Time” label in top bar of your TimeCamp Dashboard. Remember, that you can track time by many different keywords. 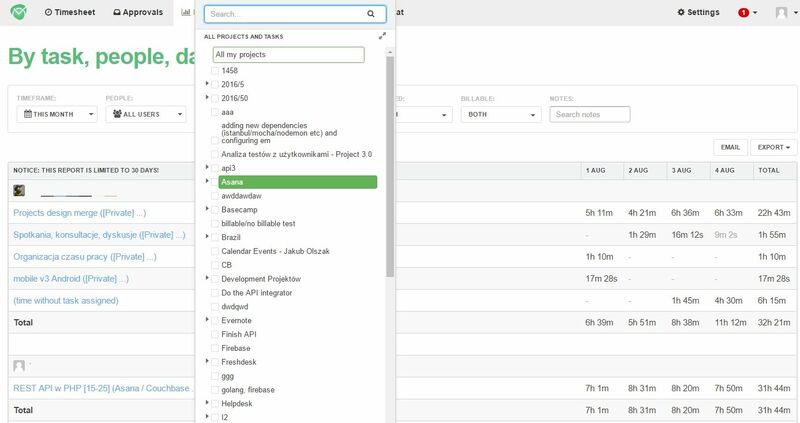 The desktop app can automatically assign the tracked time to a specific activity, basing on these keywords. When your work is done and you are ready to call it a day, it means that you have gathered all the data necessary to create a summary of time assigned to tasks. This is a simple and intuitive process. TimeCamp generates informative reports that can be modified accordingly to your needs. You can then share them online or export to Excel. You are able to specify the desired time frame, as well as team members, and choose from one of the eight available report types which will display your data from different perspectives. In order to create a project, select the Reports link from the menu. You will be redirected to so-called ‘reports generator’. Here you can create various reports regarding your projects or tasks. Next, choose whom you want to involve in the report. Assigning people to task is a piece of cake. You can select everyone from your company, a particular group of people, or a single user. Now, you can decide which of your projects should be considered in the report. You can select all of your projects, or choose a single one by typing its name. Last but not least, choose whether you want to see only active tasks or also those that were archived. The report will be generated automatically. There is quite a number of benefits that come from controlling and properly managing your working time. The reports that you’ve just learned to generate offer valuable information concerning your and your team’s productivity and efficiency. You can better adapt to the requirements of the project, and enhance the workflow in the office. 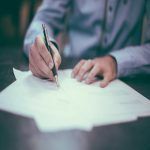 The gathered data can be used to create invoices, manage budget, and automate the billing process. These are only a few example of the assets that time tracking and reporting provide. You can try TimeCamp for free and see for yourself how useful it can be! Best time and billing software? TimeCamp, of course! Plan Every Detail of Your Tasks with The Best Task Planning Software!